Wist is very simple with curvy lines and bow like petals, for a little variation just add an aura. Wist was inspired by the wisteria covering our front path which has put on a spectacular display this year. Great!!! What a superb ZT inspired by the beautiful view. And the floral tangle you created is very, very nice! Wow, I want to live where you live! I would build a tree house all up in those wisteria. It's like snow in summer. Great job in deconstructing the pattern. I will be trying it out today. Sue, it's funny how you just got your first snow while Shelly has this all at the same time. 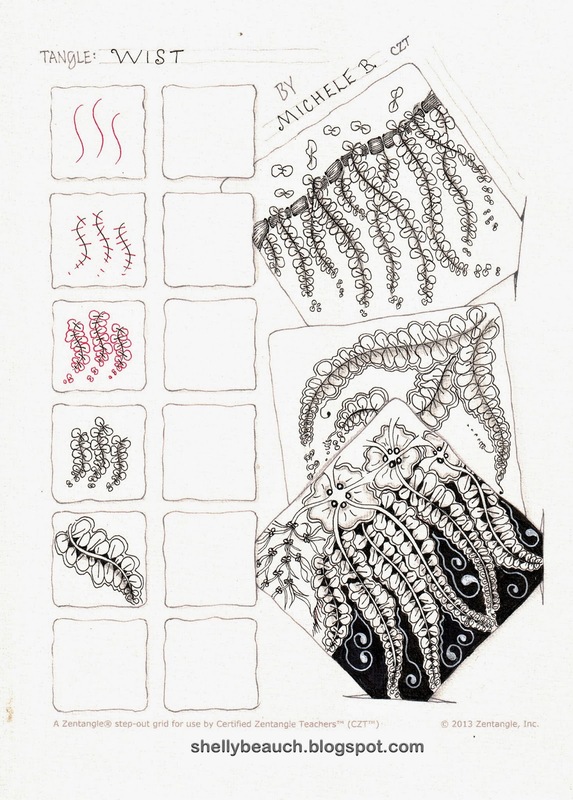 I'm inspired to play with some tangles!! Thanks girls. 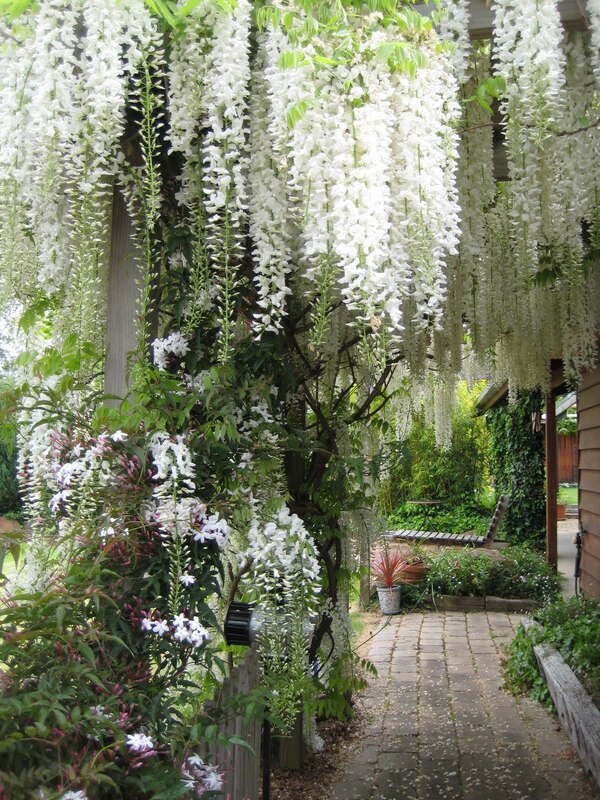 Your photo of your wisteria is amazing, how beautiful! And I love your zentangle. Thanks for sharing! And thanks, always, for the inspiration. Thanks everyone, I hope you have fun with Wist! Love the Wisteria Michelle, just beautiful. The tangle is cool too! Thanks Shelly for the beautiful poem and photo of the wisteria.